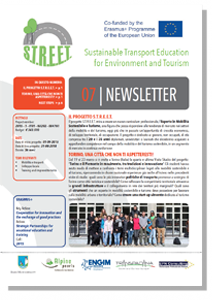 The eighth and last newsletter presents the two Multiplier Events, the first held in Turin “Muoviamoci Bene. The Forum for New Mobility in Piedmont” (30THMay 2018) and the second in London “Smart Transport for Sustainable Tourism” (25thJune 2018). 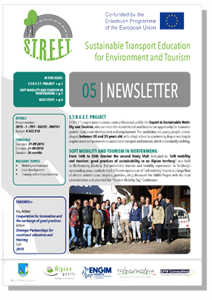 The seventh newsletter presents the fourth Study Visit just held in Turin (Italy) about the theme: “Turin and Piedmont on the move, between tradition and innovation”, where the students compared multidisciplinary topics related to sustainable mobility and tourism, condensing the experiences already carried out in previous study visits. 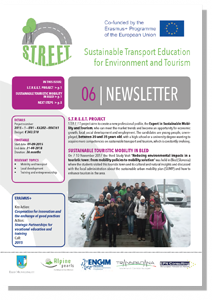 The sixth newsletter presents the third Study Visit just held in Bled (Slovenia) about the theme: “Reducing environmental impacts in a touristic town: from mobility policies to mobility solution”, where the students visited this touristic town and its cultural and natural insights and discussed with the local administration about the sustainable urban mobility plan (SUMP) and how to enhance tourism in the area. 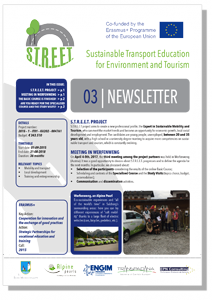 In the fifth newsletter you will find information about the second Study Visit just held in Werfenweng (Austria). The Study Visit was dedicated to “Soft mobility and tourism: good practices of sustainability in an Alpine territory”. Eco-sustainable tourism and mobility experiences: in Salzburg’s surrounding areas, students tried different experiences of “soft mobility” thanks to a large fleet of electric vehicles (cars, bicycles, pedelecs, etc. ), discussed the SAMO Project with the local administration and attended the “Tourism Mobility Day” Conference. The fourth Newsletter is here! 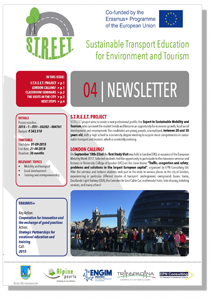 In the fourth newsletter you will find information about the first Study Visit just held in London (UK). The London Study Visit was the first of four study visits designed to show students different situations where sustainable mobility solutions are crucial to allow tourism grow without impacting on the environment. 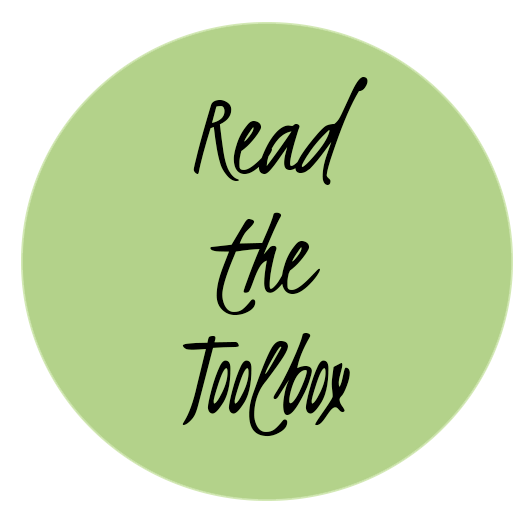 In the third newsletter you can find information about the project meeting just held in Werfenweng (Austria).We also published the list of who did the Basic Course Online and the topics of the 4 Study Visits. We’d like to invite you to read our second Newsletter. 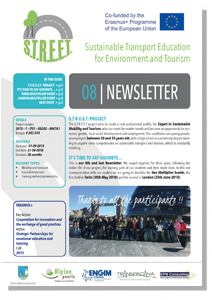 Our second newsletter is dedicated to the presentation of the courses promoted by the S.T.R.E.E.T. 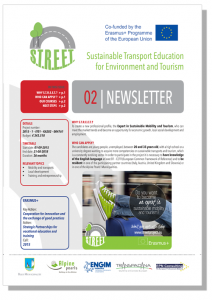 project: the Basic Course and the Specialised course.Find all information and requirements to participate in our courses and become Expert in Sustainable Mobility and Tourism! 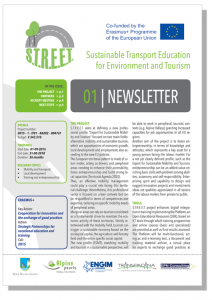 Following the official launch of S.T.R.E.E.T., we’d like to invite you to read our first Newsletter.